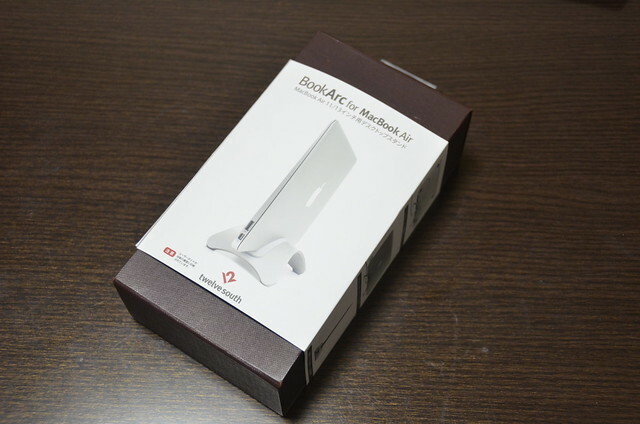 twelvesouth make beautiful products, one of which is the BookArc, and my Macbook Air sits in one on my desk. It’s in my field of vision all day, so to me it’s important that it is beautiful. However, this post isn’t about the book arc, it’s about the box it came in. They could have sent it out in any sort of packaging, a plain brown box, glossy printed cardboard or even one of those awful, impossible to open plastic bubble things. They didn’t. Instead they chose to use beautiful packaging to go with their beautiful product. If everything came in beautiful packaging – would you still find it as easy to dispose of, or would you be more likely to reuse it? If you paid that much attention to the way your work was packaged, how much better would the finished product be? About a month ago I bought myself a Chromebook, and I think now would be a good time to reflect on my experience so far. The model I bought was the now discontinued Samsung 550, which was the highest spec machine available, other than Google’s flagship Chromebook Pixel. A Chromebook is a fairly basic laptop running Google’s ChromeOS, which as the name suggests is a close relative of their Chrome web browser. I’ve found that many people don’t look beyond that and discount is as just a web browser with a keyboard, but I think that seriously underestimates the possibilities of the device. Before I go on I should point out that I’m not the target audience for a Chromebook – I need access to specialist applications like Captivate and Storyline – so unless I change careers I’m not likely to swap to using a Chromebook as my sole or main device any time soon. However, I’ve found that when I don’t need those specialist tools the Chromebook does most of what I need, and does it very well. Many of the tools I use live in the cloud anyway, so things like email and calendar (in the shape of Gmail and Google Calendar) are the same on a Chromebook as they are on my Mac. Office apps can be replaced by Google Docs, or if you prefer familiar Microsoft products (and you’re an Office 365 subscriber) you can use their Office web apps. For many people, email, calendar, office apps and a web browser are pretty much all they’re likely to need – but what if you need more? There is an increasing number of apps available which do a pretty good job of replacing most common apps: photo editors, music players, ebook readers, text editors, games, the list goes on. If you’ve never used Chrome, take a look at the Chrome Webstore to see what’s available. …brings together the speed, security and flexibility of the modern web with the powerful functionality previously only available with software installed on your devices. (Think apps designed for your desktop or laptop, just like the ones for your phone and tablet.) These apps are more powerful than before, and can help you get work done, play games in full-screen and create cool content all from the web. There’s no doubt that Google are developing a full blown operating system, and the speed with which they are doing so is impressive. So, are we going to see Chromebooks replacing traditional laptops and desktops in organisations? You know, I think we could. Perhaps not yet, but given the pace at which they’re adding features, I don’t think it will be long. Anyone with an interest in online learning content should certainly take a look because I’m sure we’ll be seeing greater adoption of these devices in the coming years. Earlier this year I was delighted to be asked by Packt Publishing to act as a Technical Reviewer on their new book Learning Articulate Storyline. The book was recently published and not long afterwards a copy arrived by post. Even though I hadn’t done the hard work of actually writing the book, it was still exciting to see the finished product after having played a small part in its development. I’m a big fan of the practical approach adopted in Packt’s books, and Learning Articulate Storyline is no exception. If you’ve never used Storyline before you can be confident that after working through this book you will be able to use it to develop elearning content. There’s no unnecessary theory or explanations; after a quick introduction to Storyline you get stuck into building the first part of a course that you will continue to develop as you progress through the book. You’re introduced to new concepts at the point at which you use them, so there’s always a clear link between theory and practice. At less than 280 pages you might think that the book is a little short, particularly when compared to typical IT books, but don’t let that fool you. It’s a testament to both to the simplicity of the tool and the practical approach of the book that it covers everything you need to get started – and I should be clear that getting started is what it’s all about. The book is aimed squarely at novices and it meets their needs well, but this isn’t the book for you if you’re looking for advanced techniques. I can happily recommend it to anyone who is just getting started with Articulate Storyline. In mid July the eLearning Network held an event called ‘The Open Source Revolution’ at which I spoke about my experience helping several organisations select an open source LMS and comparing it to similar experience with commercial systems. I was happy to report that all the projects had gone well and that relationships with suppliers had been mostly positive, but there was one major issue I had come up against which generated a lot of discussion during the Q&A. Imagine that you have an open source LMS which was implemented by a supplier who specialises in supporting and hosting that particular LMS. Let’s call them a partner… The LMS has been in place for some time and after discussion with the supplier you decide to upgrade to the latest version. After the upgrade you discover that a plugin you have been using for some time has stopped working, not because of a problem with the plugin but because of a bug in the core LMS itself. When you raise this with the partner who has implemented, hosted, supported and upgraded the LMS you are told that they are not liable for bugs in the core code, although they do of course offer to fix it at your expense. It was the first time that I had been faced with a situation of this kind, and of course I immediately checked the support contract, and sure enough it absolved the supplier from any responsibility in this area. I was not happy, and judging from the response at the eLN event I’m not the only one who feels that way. I appreciate that the supplier didn’t develop the software in the first place, but like many others they have built a business around supplying, supporting and hosting it. My view is that if they believe the software is fit for use, they should be willing to provide a warranty against bugs in the core code. If they aren’t willing to do that then any potential customer should be very sceptical about the suitability of the software, or the suitability of the supplier to support it. For me there has been a simple outcome. I’ve updated my base requirements for procuring any open source solution to include an indemnity against core bugs as a non-negotiable. It will no doubt narrow down the choice of suppliers but I’ll have a great deal more faith in those who are left. Whether you like it or not, email remains at the core of online communication for most of us. There are plenty of opportunities to use it more effectively and one of those is to use it solely as a communication tool – and not as a filing system or to do list. I’ve made a few changes to help me better manage email and central to that was establishing a routine of only checking for new messages three times a day, at 9.00, 12.00 and 4.00. One of the biggest challenges I’ve faced is that between those times I still need to send emails, but when I open Gmail I get distracted by the messages in my inbox. Even if I do manage to leave my inbox without looking at the new messages they weigh on my mind, distracting me until I give in and deal with them. Sometimes the simplest of solutions can make the biggest difference and so for the last couple of months I’ve used a bookmark to directly open the Gmail compose window, so avoiding being distracted by new messages. Today I converted that bookmark into a simple Chrome Extension that opens the Gmail compose window in a new tab. Hopefully others will also find it useful. If you have even a passing interest in technology and own one or more iOS devices you’ll know that last week Google released their Chrome web browser for iPhone and iPad. It’s likely that you’ll also know that if you want to use Chrome as your default browser, you’ll be disappointed; Apple doesn’t allow this. As a result, even if you choose to use Chrome, any web links from emails or other apps will still open in Safari. This was a point of considerable frustration for me. My desktop browser of choice is Chrome, but I’d switched to Safari solely because I get some level of integration with iOS. It seemed to me that this was a compromise that I no longer had to make, as long as I could set Chrome as the default on iOS. There is a solution, if you’re willing to jailbreak your iOS device and install BrowserChooser, which lets you set Chrome (or any other browser) as the default. This is where the unintended consequences begin. Until now, neither my iPhone or iPad was jailbroken, as I had never seen the benefit. The opportunity to set Chrome as my default browser was enough of a push and so both devices are now jailbroken. Now that I’ve applied the jailbreak I realised that I could also install Sparrow+ and use Sparrow as my default email client (it plays better with Gmail). Which then led me to install Sparrow on my Macs in place of Apple Mail. Then I found myself thinking, if I’m going to all this trouble to get better integration with Google products, why don’t I just use an Android phone1? It’s this last point that should be most troubling for Apple. No, Apple’s worst nightmare is someone buying an Android phone instead of an iPhone. If you buy an iPhone, Apple wins, that’s all there is to it. Every iOS user who chooses to use a third-party app as their preferred client for web browsing, email, calendaring, etc. is annoyed every single time they click a web/email/event URL and are taken to an iOS system app that they don’t want to use. “Don’t annoy users” is a good rule of thumb, and the inability to specify third-party apps as default handlers for these things is annoying. Remember that. Don’t annoy users. It seems to me that we should all keep those three words in mind, no matter what we’re working on lest we bring about our own set of unintended consequences. In his recent post Market failure? Blame it on the dog food, Clive Shepherd suggests that the reason that elearning content often has high production values but superficial learning design, is down to a market failure; that elearning vendors are selling to the employer, not the learner. I agree, but how did this situation come to exist? Based on my own experience as an elearning manager within a corporate, and more recently as a consultant, I have some thoughts about why the relationship often works this way. When employers purchase an e-learning product or engage with a developer, they choose on the basis of production values rather than learning design, because they have neither the time nor the inclination to test out materials with real learners. I’ve seen many examples of this, but it’s a problem that existed long before elearning. The same can happen when commissioning external providers of face to face training. The focus is on the delivery and collateral rather than the learning and business outcomes. Trainers are often selected, quite literally, on the basis of style over substance. This is closely related to the second problem. When I was getting started with elearning, I was given all sorts of advice, but one of the more frequent suggestions was to produce “high profile content”; that is, content that people would talk about because it had the “wow factor”. The trouble is, that ends up being “wow those graphics were amazing”, or “wow I think 3D models are cool” when it should be “wow I’ve learned so much by doing that!”. Who are we trying to impress with this high profile, “wow” content? It’s usually stakeholders and senior managers, because we want their buy in as way to ensure that we can do more of this. The trouble is, once we’ve opened this box, it’s almost impossible to put thing back in again. We establish a situation where elearning is perceived as something that must have high production values, and anything else is considered to be sub-standard. This also relates to the problem of procurement models and IT involvement. In the past, it was not unusual to see the commissioning of a piece of elearning treated as a software purchase, and for some organisations that’s still true today. First of all, a software purchase is usually sourced based on factors such as integration with existing systems, and the availability of support. Effective learning outcomes will not be high on the list. IT then end up making decisions about the choice of vendor; something which should be the domain L&D. The second issue is how these things are paid for. A software purchase is usually treated as capital expenditure, and in many organisations something can only be a capital expense if it is above a certain cost (perhaps £30-£40,000). So what do you do? You make your elearning content more media rich in order to push up the cost, because you couldn’t get the budget if you wanted to spend less. Sounds crazy, but I’ve got plenty of experience of this! How do we overcome this? Like Clive, I’m not completely sure, but I do know that it involves L&D keeping their focus on being business people rather than show people. The third week of using Android instead of iPhone is over, and it’s been largely uneventful. I think it’s taken this long to settle into the Nexus S just being my phone and using it normally, rather than it feeling like an experiment all of the time. That’s really helped prove to me the value of doing this. The only way to really understand an alternative to your current platform of choice, is to use actually use it. This isn’t something that you can experience by playing with phones in the shop, or by reading about someone else’s experience (even mine!). I started this experiment for a couple of very specific reasons. The first was so that I could understand the Android user experience so that I could better design apps for it as a platform. The second was to give some thought to whether iOS or Android had any intrinsic advantage when it came to learning specific activity. The first is still a work in progress, and I’ve already learned a great deal. The second question I think I’ve already answered for myself; much like the old adage about cameras, the best device for learning is the one you have with you. It needs a little more thought, and that’s another post to be written once this four week experiment is complete. I did say it was a largely uneventful week, but that wasn’t to say there was nothing significant to report. This week, I had the opportunity (which I took) to buy an HP Touchpad; you may be familiar with this as the WebOS powered device that HP launched and quickly cancelled earlier this year. Some enterprising souls have ported Android to run on it, and although it’s only an early alpha, I’ve been surprised how stable it is. Watch this space for more updates on this too!